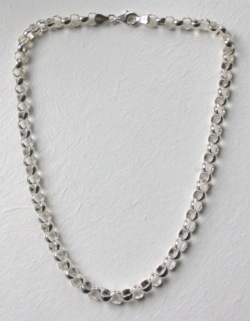 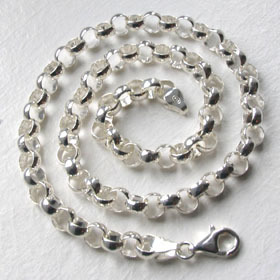 These Italian silver belcher chain necklaces are beautifully made, beautifully fluid necklaces. 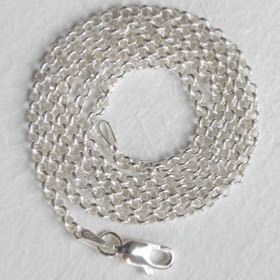 They are made up of round links. 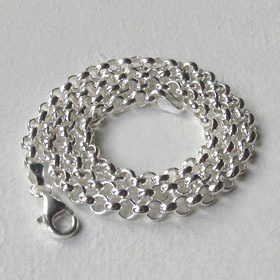 Each link has a slightly barelled profile which softens the edges.